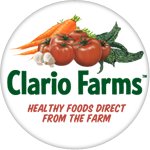 Claire and Mario are owned by Clario Farms, LLC. An all-natural market garden farm on 40 acres in beautiful Kewaunee County, just northwest of Algoma, Wisconsin. Assisted by their erstwhile rapscallion of a daughter – Nina, they market their produce at the downtown Sturgeon Bay Farmers Market in nearby Door County. Clario Farms is an old-fashioned producer, implementing only sustainable, responsible and healthy methods that yield the healthy, fresh produce that people are looking for these days. We use only organic seed and practices, although we are not certified organic. 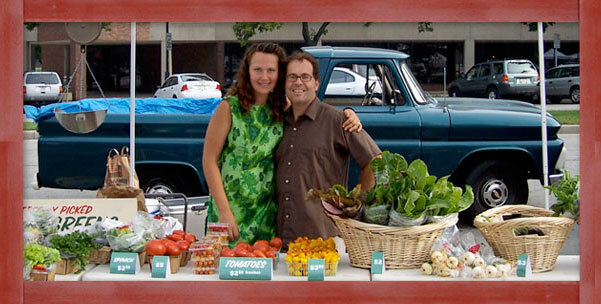 Clario Farms will not grow produce manipulated with GMOs. We also raise a small number of beef, lamb, pork, chickens and turkeys with organic, free range and pastured practices. We are continually striving to improve our methods to bring soil fertility, plant growth and livestock care as ecologically interrelated tasks. 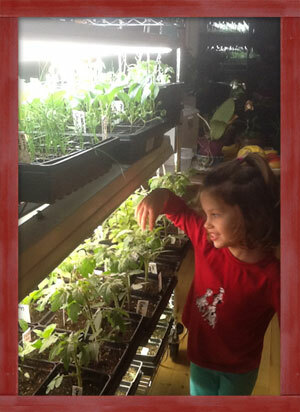 Our young and growing farm has been in business for eight years.